When it comes to making and decorating cakes, it can be really intimidating for those of us who don’t bake! I still wanted to have a beautiful centerpiece for the food table, and I was brainstorming how I could achieve the fairytale theme without using traditional edible cake décor. That’s when I came up with the idea of using wooden embroidery hoops and attaching paper elements to the hoops to create a 3D forest effect. I also created a custom cake topper out of chipboard, which cut flawlessly with my Cricut Maker. The finished result was even better than I imagined! 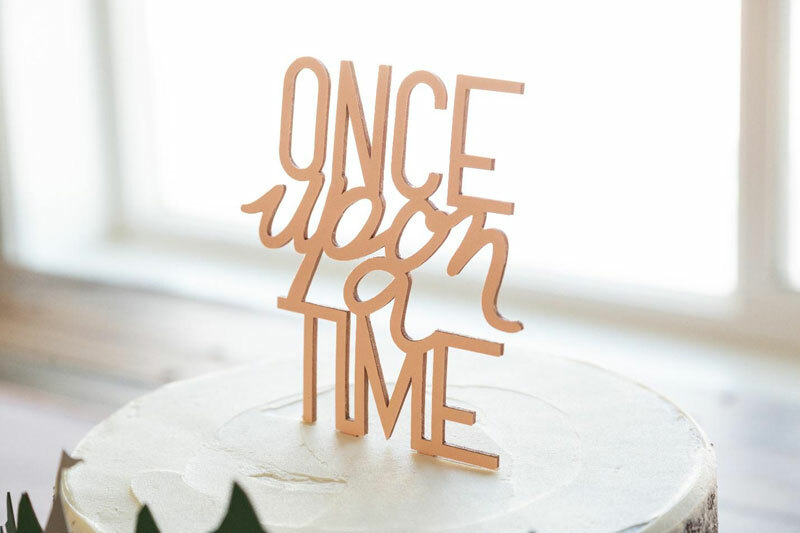 Let’s start with the Once Upon a Time cake topper. The file is sized to make the finished cake topper approx. 5”x 7” but you can resize it if you need it to be bigger or smaller. You will want to make sure you are using a Cricut StrongGrip Mat and masking tape to secure the chipboard to the mat before you cut. Insert the Knife Blade in your Cricut Maker, and move all the star wheels to the right before inserting the mat to cut. Cutting chipboard takes several passes, so get comfy! Now that the Once Upon a Time is cut out, it is time to paint the sides and back of the chipboard topper. 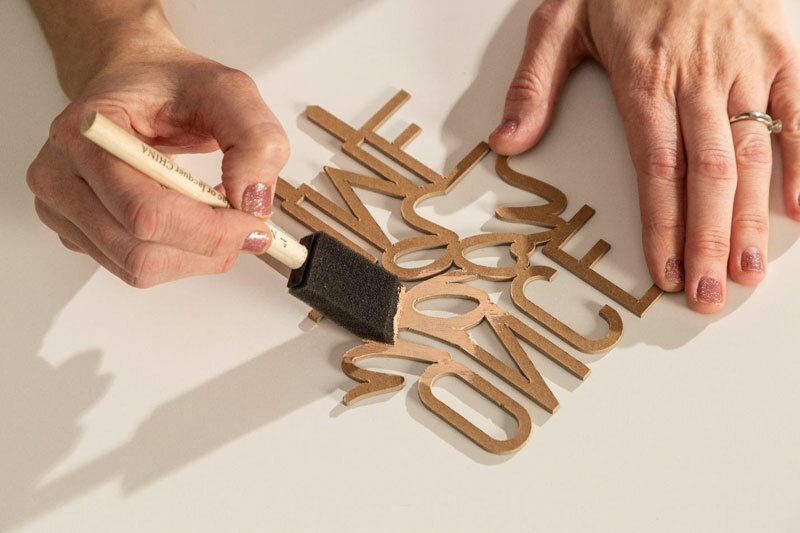 You will need to paint a few light coats to get good coverage of paint, creating a seamless look with the cardstock on the front of the cake topper. While the paint is drying, you can switch out the knife blade to the fine point blade and cut the blush cardstock, using the same Once Upon a Time design. I love how clean and crisp the cardstock design looks, and it adds some texture to the cake topper too! 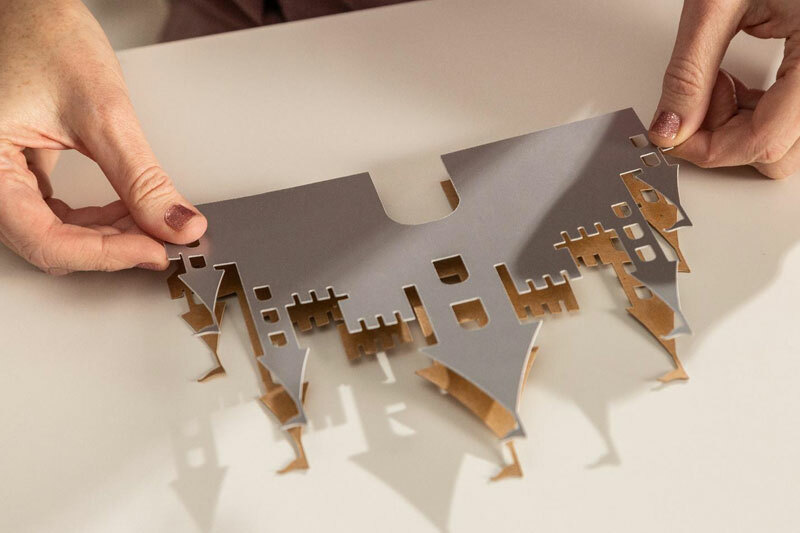 When the chipboard is completely dry, cover the entire top surface with a craft glue stick and then place the cardstock design perfectly on top and press down carefully. 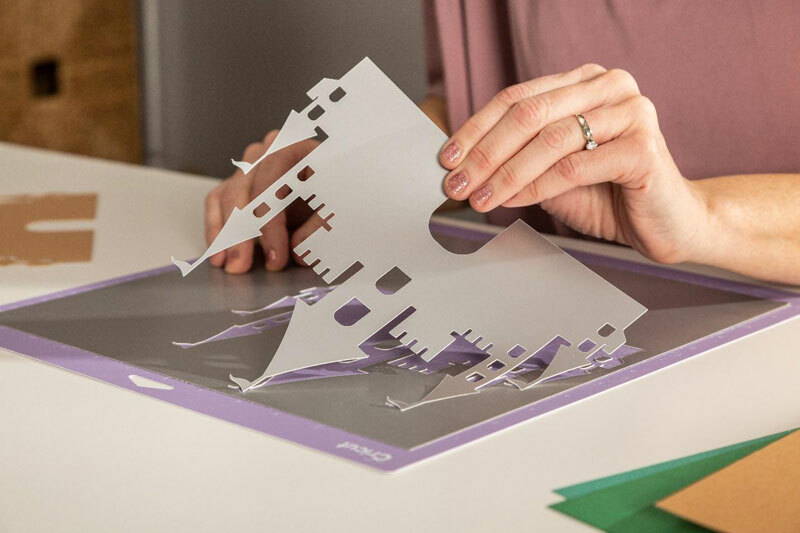 Apply gentle pressure and smooth the cardstock all along the design to ensure that it adheres well, especially around the edges! 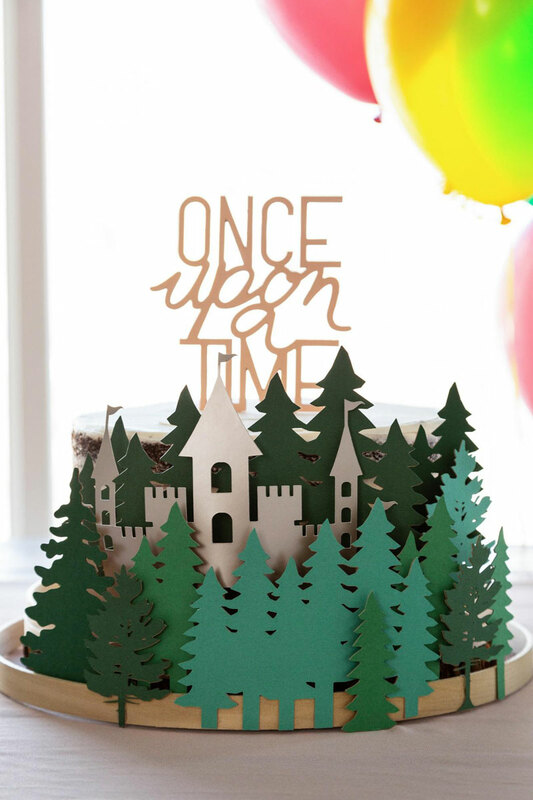 Your custom fairytale cake topper is complete! 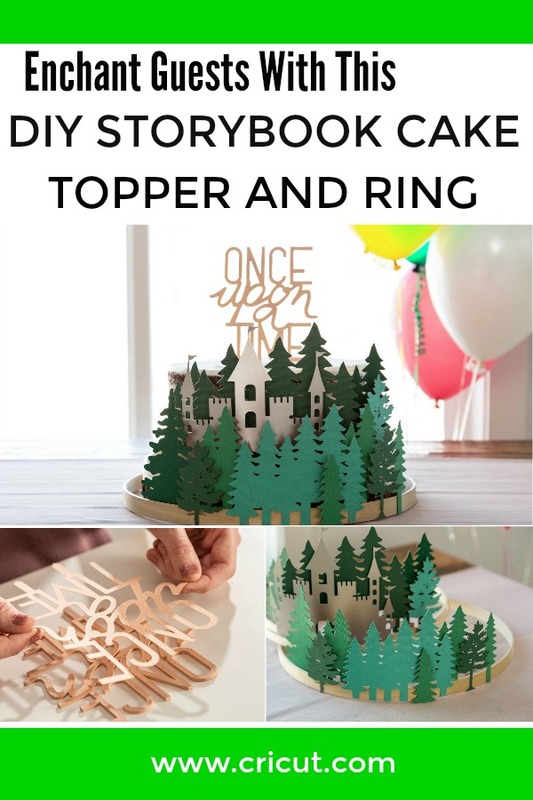 Now it’s time to create the beautiful Storybook Forest cake rings! 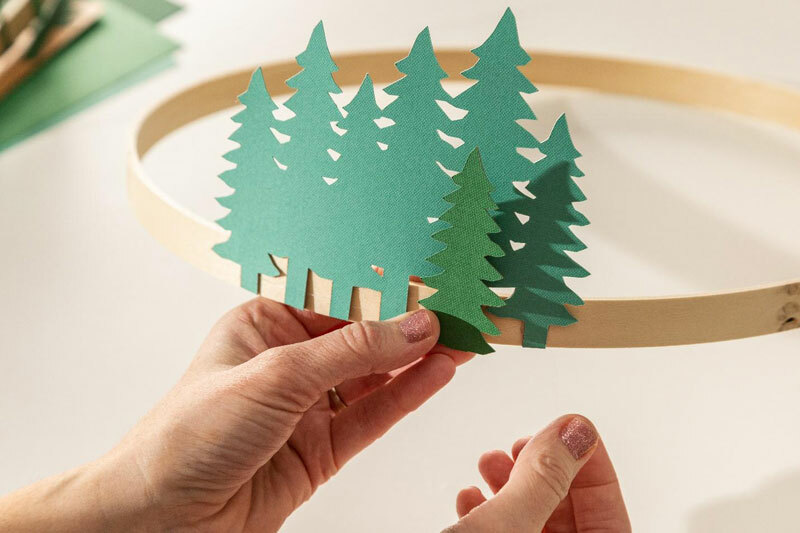 The file is sized to create the forest design on 14” and 12” wooden hoops, but if you need to resize it, make sure you are selecting all of the elements and resizing them together so they will stay at the same scale. 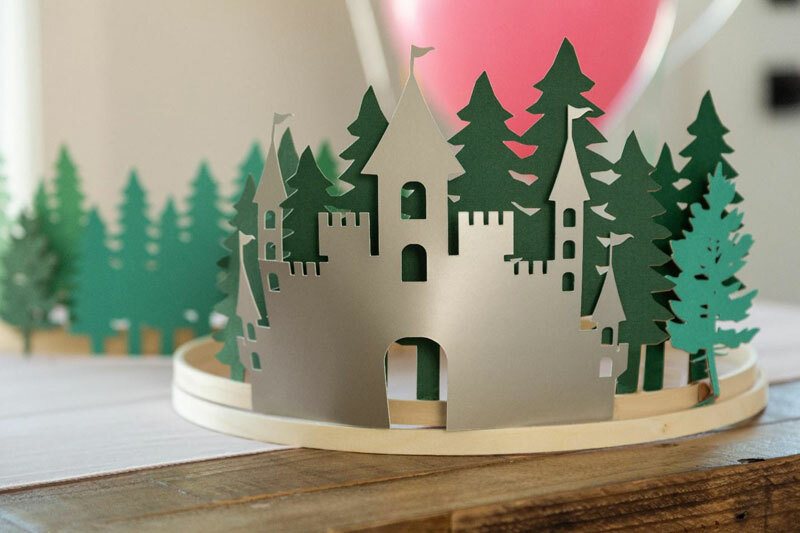 I started by cutting out the castle first, then the trees, and then everything in Natural Kraftboard from Cricut. 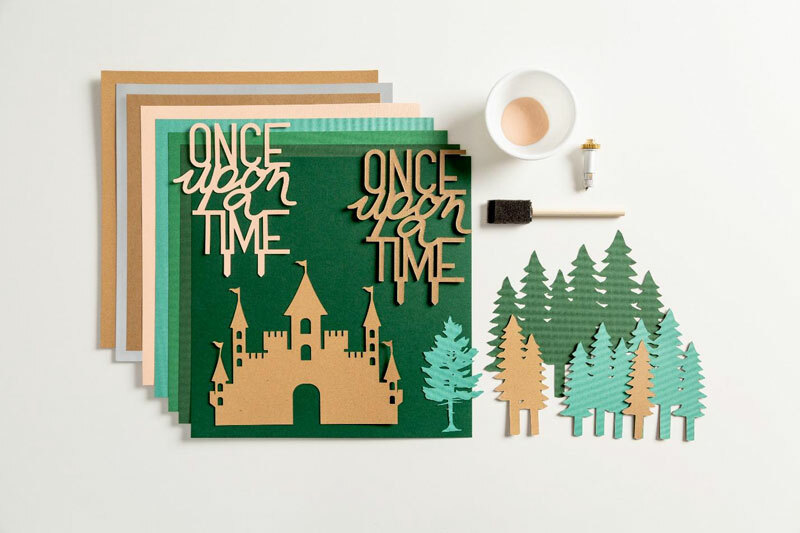 Backing all of the paper designs in kraftboard gives the shapes weight and sturdiness while creating a 3D effect. 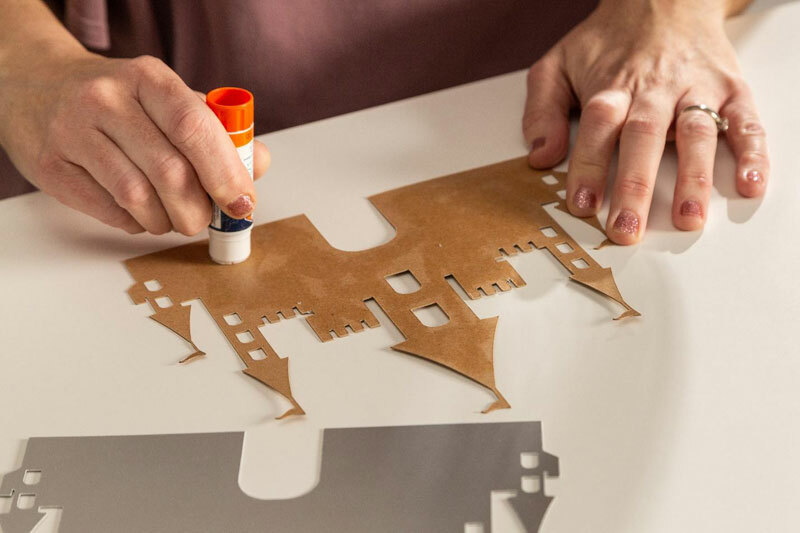 It is helpful to lay out all the elements of the design (trees and castle) and match them up with the corresponding kraftboard pieces. 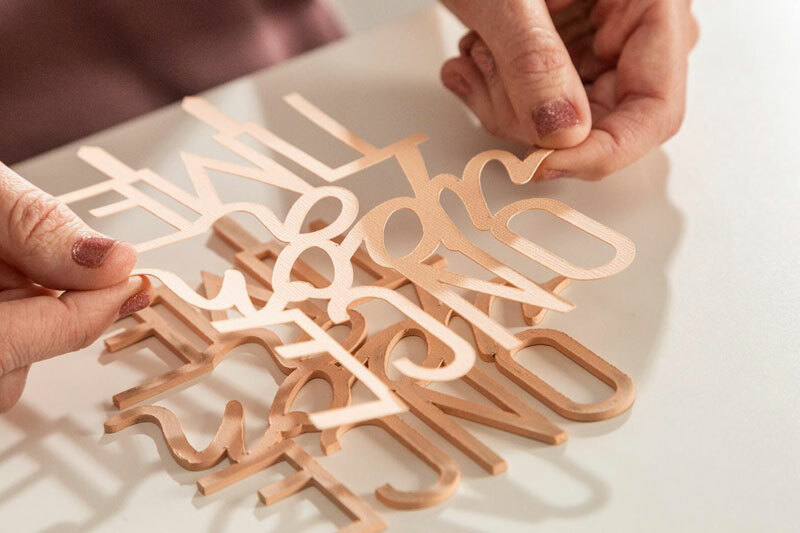 One at a time, apply the glue stick to the top surface of the kraftboard, line up the matching cardstock piece, and press down. Repeat this process until every shape is backed in kraftboard. 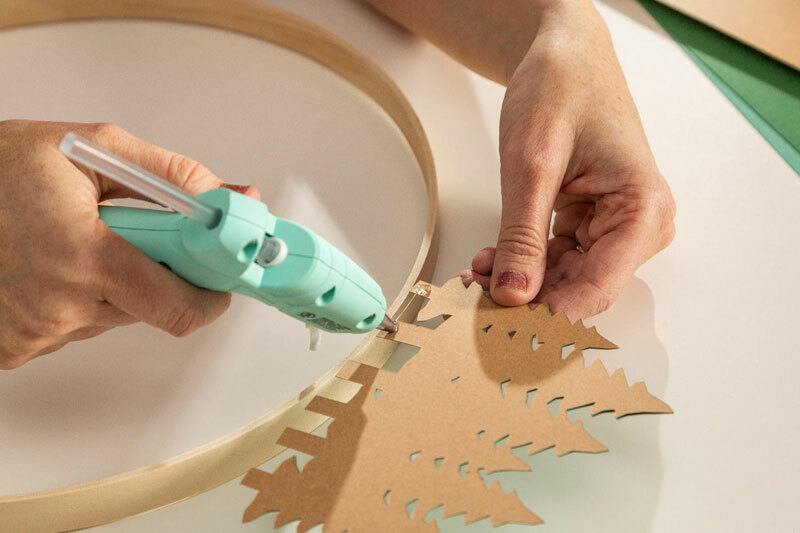 Using your hot glue gun, attach all of the shapes to the wooden embroidery hoops to create a layered design. Apply small beads of hot glue to the back of the shape, and press carefully onto the front side of the wooden hoop. I alternated the placement of trees on the front and back of the hoop to create space and dimension to the forest. Pro Tip: Don’t worry about creating perfect spacing when placing the trees around the hoop. Asymmetry is more pleasing to the eye, and it will look like a more natural forest if all the trees are not perfectly balanced on both sides! 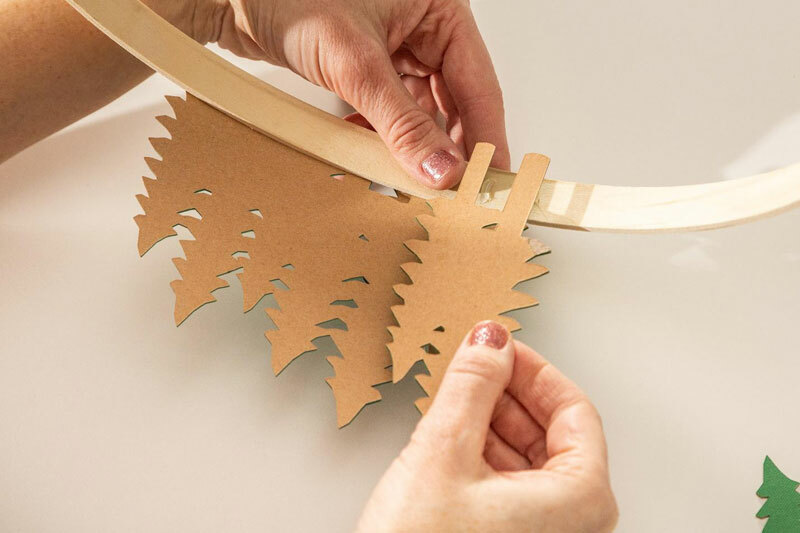 There are two hoops, so make sure you are spreading out the tree shapes to fill in the space for both. 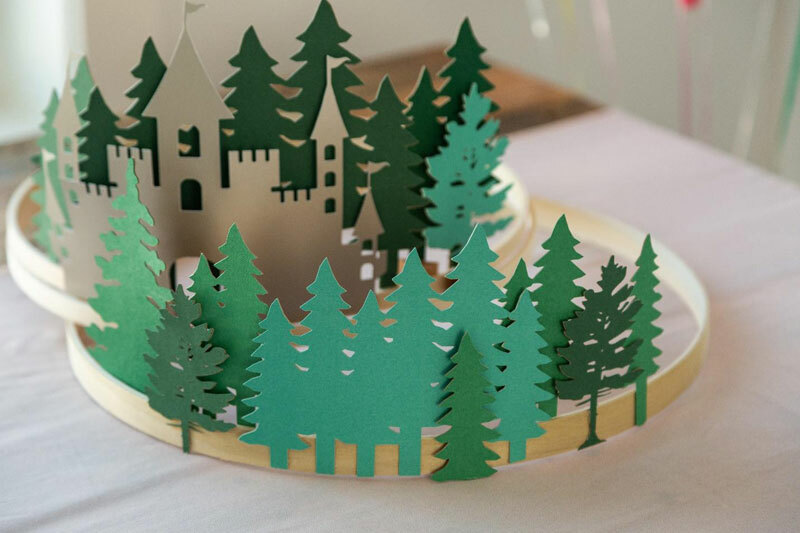 I decided to place the castle on the smaller, inner hoop, so when they are placed together it looks like the castle is hidden behind the trees. I love the final result! What a dramatic effect and beautiful centerpiece using only paper and glue! This same concept could be used for so many different cake or party themes! What theme would you plan for your next party?